What Is Happening At PK Park? 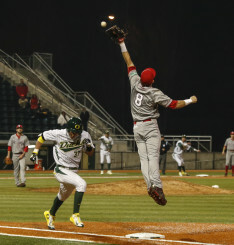 George Horton has been rebuilding Oregon’s baseball program since its 2009 reincarnation and his hard work is paying off. Their 13-2 record is the best start since the return of the program and the Ducks — picked to finish second in the Pac-12 — are garnering attention and commanding respect with every win. A two game series with San Francisco starts tonight as the Ducks will try to remain undefeated at home and find some momentum to carry them into conference play this weekend against Cal on the road. The Ducks offense has lived up to the pre-season hype and the pitchers have answered the lingering questions about their youth. The starters have performed admirably, Cole Irvin is still being held to a pitch count but has held on to a 0.60 ERA through 15 innings. Conor Harber has been used as Irvin’s replacement and could find himself with a starting role once Irvin has recovered completely. With a 1.33 ERA over 20.1 innings and 23 strikeouts, Harber has been pivotal to the Duck’s success. Harber has played a dynamic role thus far – a middle reliever who is carrying a starter’s load. Oregon’s traditional relief pitchers have proven their value to the team as well, Stephen Nogosek (3-0) is dominating opponents producing 11 strikeouts to only five walks without allowing a run. Josh Graham (1-0) has not received as much playing time as Nogosek but has taken advantage of every opportunity that comes his way. Graham holds a 7-1 strikeout to walk ratio, has earned a save and carries a 0.00 ERA over 5.2 innings of relief. Baseball is often overlooked because it lacks the speed and intensity of football or basketball. But the Ducks are doing something to change that perception in 2015. 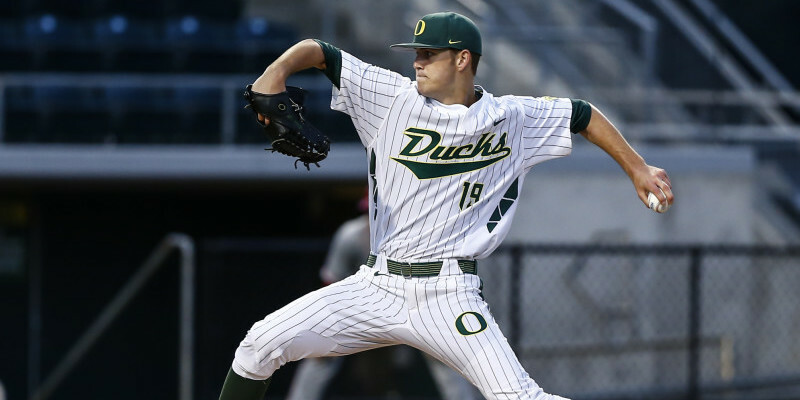 With a deadly combo of a powerful offense (scoring nearly 7 runs per game and a .266 batting average) plus an exciting pitching staff (2.58 team ERA, 122 strikeouts) the Ducks are creating a buzz around the newly rejuvenated program. Support your Ducks as they face off against the Dons tonight at PK Park.